Playing games with family members or friends in leisure time is quite fun, which is a great way to kill time. There are various kind of games can be played on iPhone or Apple TV. Game types have become much richer nowadays with the hard work of designers and programmers. It is convenient to obtain the best iPhone games to play with friends or best family games for apple TV. This guidance will instruct you to get to know some of these games and several great game apps. The large screen of Apple TV adds more interest to game playing. It is fun to enjoy Apple TV multiplayer games at home during holidays. Here I would like to list some party games Apple TV for you, in case you do not know which one to choose from numerous game apps in the market. 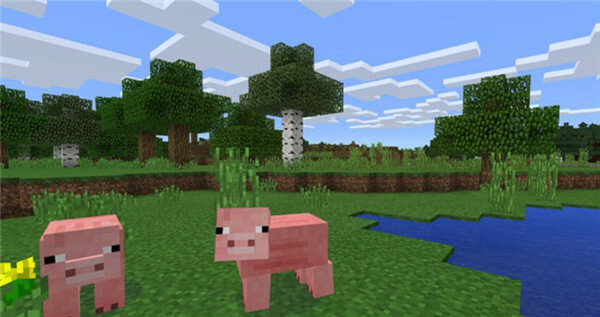 Minecraft is one of the best group game apps for kid and parents. It enables game players to create their own little piece of world as they prefer. 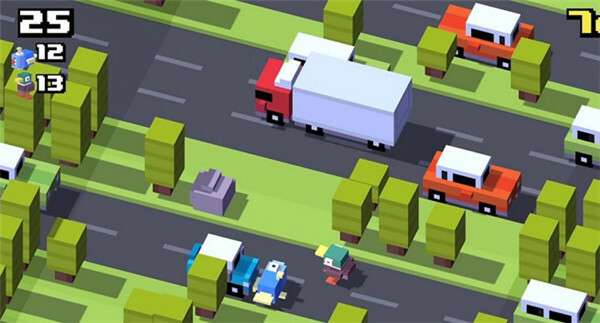 Crossy Road is one popular multiplayer game for Apple TV. You are required to get the chicken across the road by hitting in the direction you would like to go and avoid vehicles on the road. 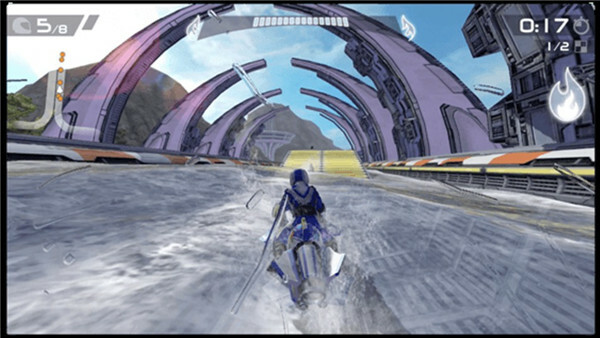 The Riptide GP 2 is a wonderful multiplayer water racing game. You can compete against your friends’ record times through Game Center. 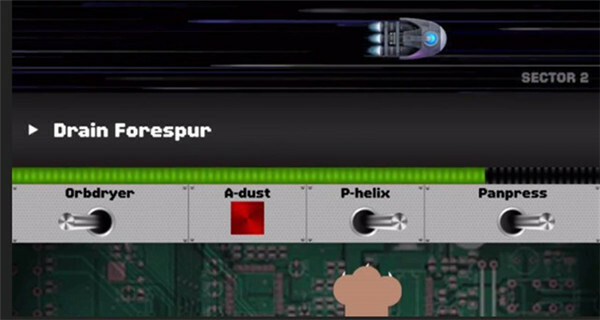 In Spaceteam, you and your friends need to control a spaceship to race against a star that is going to explode. It is quite suitable for game players who love to push buttons and watch flashing lights. 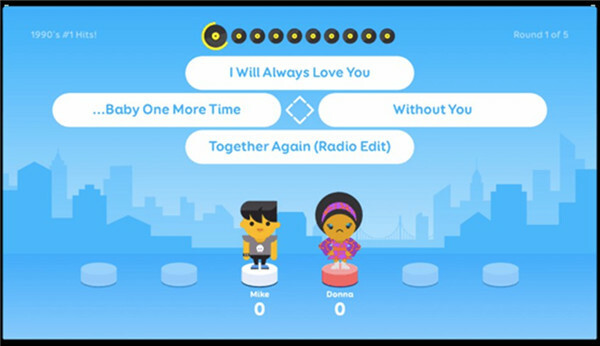 Songpop Party is one awesome game for music aficionados. Multiple game players can enjoy playing it together to challenge each other. 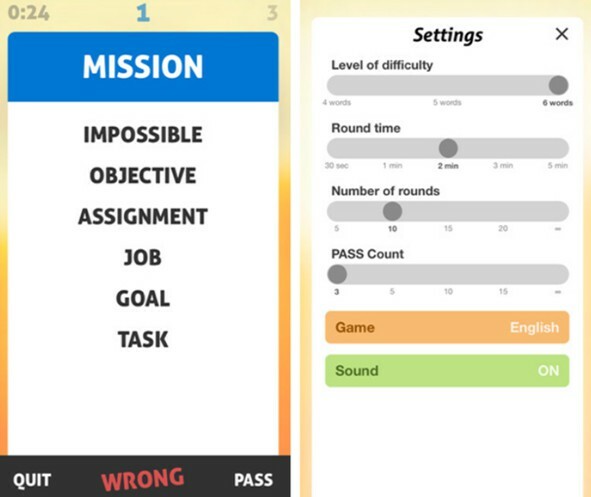 When you are on your way home from work or on a long trip, it is a good idea to play games on iPhone. It is much funnier to choose one of the best mobile games to play with friends, which can help you to keep in touch with others at the same time. You can select one of good party game apps for iPhone from the following list to assist you to kill time and have fun. Reverse Charades is one of the fun game apps for iPhone, which calls for more active participation. It is simple to play and you can use this game to help dinner go down. 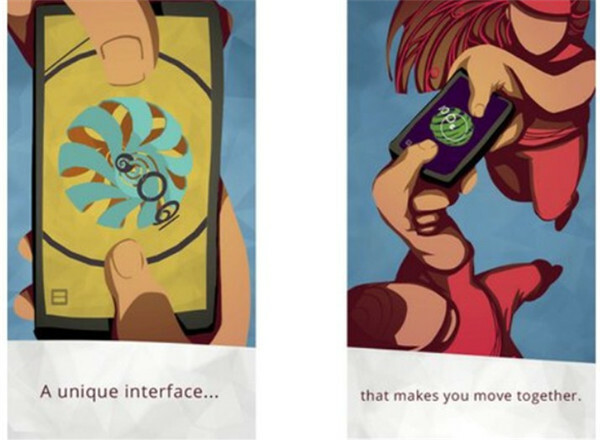 Bounden allows users to move using the motion sensors of their iPhones. 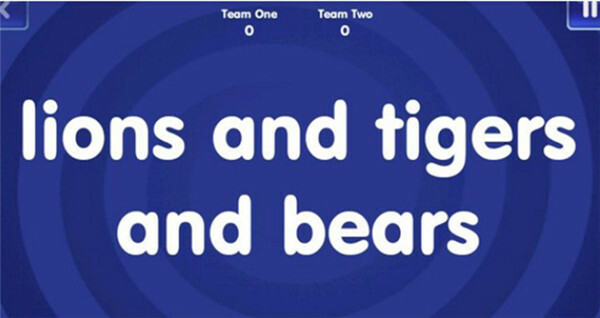 This dancing game is designed to be played with a partner, which calls for the cooperation of two game players to win the game. 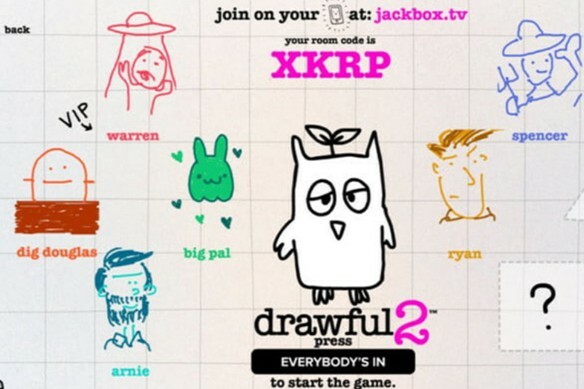 Drawful 2 is regarded as one of the fun family game apps for iPhone, in which people can challenge players to draw strange and interesting prompts that are delivered to iPhones, such as sharks on a beach or fighting warriors, and etc. This app requires one player to be offered with one word along with a list of other words that can not be said. When you make another player to speak out the word, you need to pass the phone and when the timer goes off, the one who holds the phone will be the loser. There are many fans of this game app all over the world. Players need to guess the word on their head before the timer goes off. 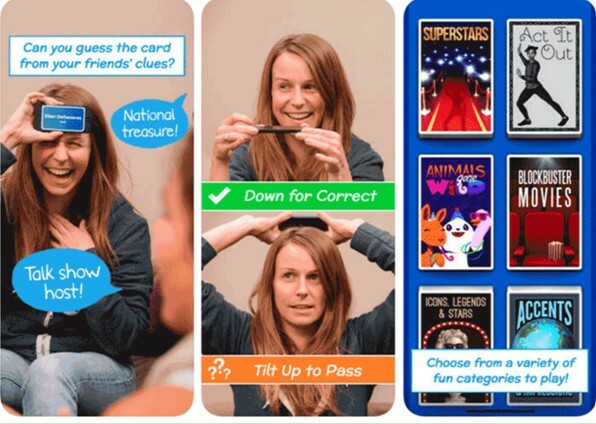 The party game apps for iPhone are really interesting. 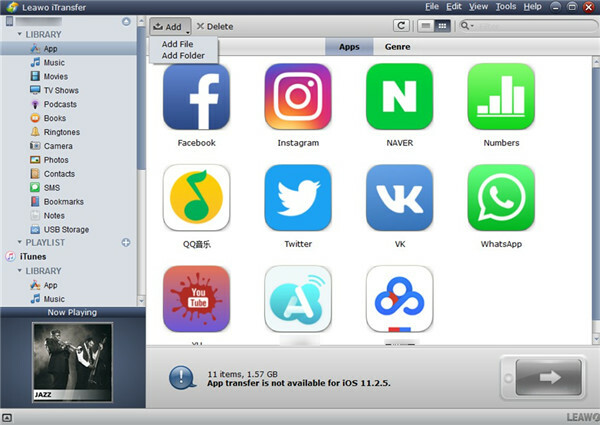 If your friend wants to play the game you have on your iPhone on his/her own device, you can transfer your app to his/her iPhone with the assistance of iTransfer. This tool that I would like to recommend to you is really gorgeous to make use of. 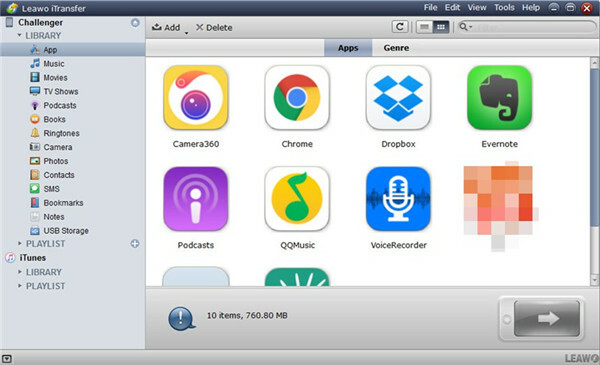 It has played a great role in helping me to transfer apps from iPhone to iTunes. It is also viable to transfer party game apps between iPhone via iTransfer. First, you need to back up your iPhone party game app to computer and then transfer it to the device of your friend directly from computer. The detailed steps are shown below for you to refer to. ☉ Backup photos and music to the computer without iTunes. In order to realize the goal of transferring party game apps between iPhones, the contents in the following will first show you how to export iPhone party game apps to computer via iTransfer. Run iTransfer on computer and then find one suitable USB cable to connect iPhone with computer. Hit iPhone icon and then click on "App" under the menu of "LIBRARY" in the left sidebar. You can see all iPhone apps in the right part of the screen. Choose the party game apps you want to export to computer and then hit transfer button at the bottom right corner of the interface. 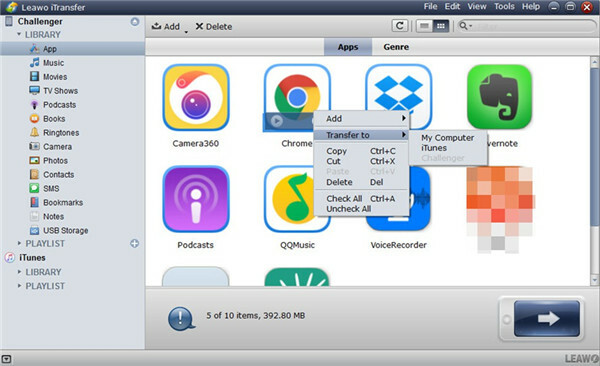 Tick the option of "Save to folder" and then make use of "Change" button to set one proper computer folder to save the exported iPhone party game apps. After that, hit "Transfer Now" in the panel. In a few seconds, your iPhone party game apps will be in computer folder for later use. 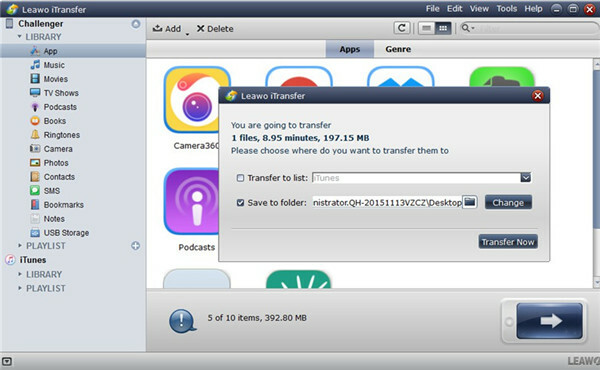 After you have successfully export your iPhone party game apps to computer folder, you need to continue to import them to the iPhone of your friend via iTransfer as well. As for the detailed instructions, please refer to the first step in Part 3.1. Find the iPhone icon in the left part of the interface and click on it to call out the "LIBRARY > App" menu to hit. Tap on "Add" button and then choose "Add File" or "Add Folder" to browse computer to navigate to the party game apps you have just exported. When you find them, you need to hit "Open" button and then the importing process will begin. The process will take you a few seconds, and you just need to wait for a while. Finally, your friend can play the same party games with you freely. iTransfer is really amazing to use and you can recommend it to more people if you consider it to be one professional and fantastic transfer tool. Many users fall in love with this software when they take advantage of it to deal with transfer issues for one time. This tool is worth downloading and installing on computer against a rainy day.